The Six Nations may be fast approaching but so are the Schools Rugby cup competitions and in a special bonus episode of the Left Wing, Tony Ward joins Will and Luke to preview this year's Schools Rugby with a special supplement appearing in Saturday's Irish Independent. 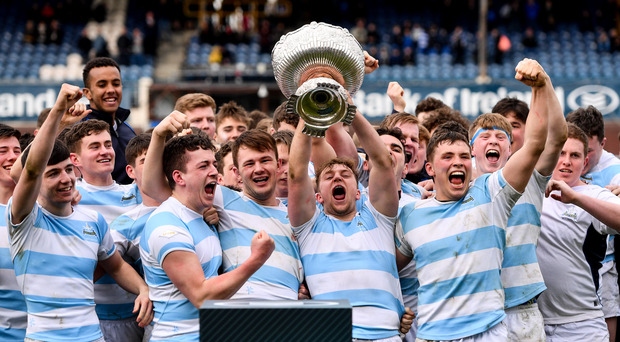 The usual suspects - Blackrock and St. Michaels - are the favourites once again, but Belvedere and Clongowes can never be discounted, while the stand-out tie for the weekend opening fixtures has to be Terenure v St. Mary's. "The competition was always big," says Tony. "But it's getting bigger and bigger and so are the players as well." In this Saturday's Irish Independent, readers can pick up a special 2019 Schools Rugby supplement. With a background on every squad covered, Tony Ward also has a special featuer on Temple Carrig school in Greystones, which he believes will be a force in the years to come.